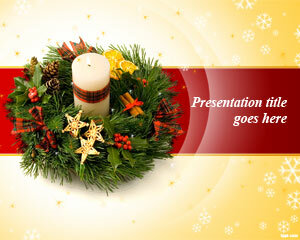 Free Christmas Wreath PowerPoint template is a treat for the holiday season. 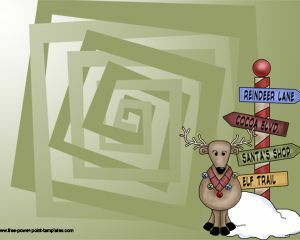 Share your idea on how to decorate the house using free Christmas Wreath PowerPoint template. 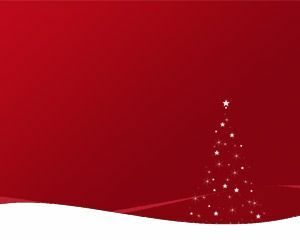 It is time to celebrate the holidays, and what better way to do it then decorating your home. Spread love and joy among your Christian brothers and sisters through free PowerPoint backgrounds, covering different facets of this matrimonious occasion. 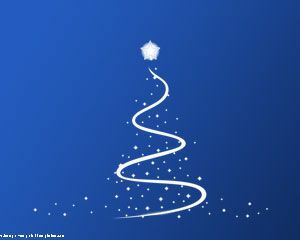 Come up with different decoration ideas for Christmas, and share them with templates, such as free Christmas Gift PowerPoint background, and Christmas Balls PowerPoint Template. In most homes, arrival of holidays is symbolized by hanging a Christmas wreath over the fireplace or front door. Christmas wreaths can be made out of items, other than holly leaves and evergreen branches. All it requires is pulling up your sleeves for a little hard work, and a Christmas wreath can be made at home with family. There are a variety of wreaths, such as Snow themed, Floral Christmas, and candy. 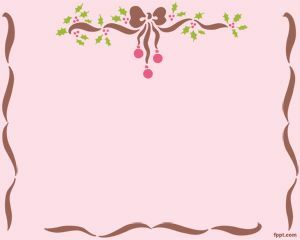 Spread some love with the free Christmas Wreath PowerPoint template by sharing your ideas on how to make the Christmas wreath. 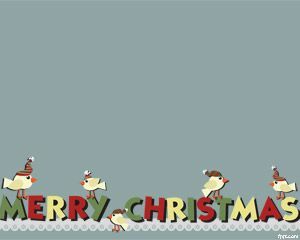 You can change the background with your own Christmas wreath to make it your own. Font is also customizable, but it is better to leave this open, as the standard font is easily readable from a distant. 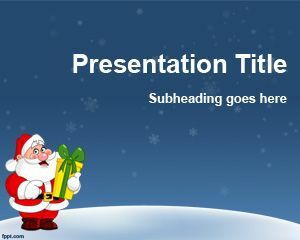 Free Christmas wreath PowerPoint template can be downloaded for the latest, as well as previous versions of Microsoft PowerPoint (for the Mac and PC).